Many of our customers come to us with questions about LCD displays: Can you put a touch panel on any display? Does this display come with a graphic user interface (GUI) already installed that will work with my application? To provide some clarity, we’ll cover the ins and outs of an LCD display. Let’s start with the foundation of LCDs—the LCD glass. Essentially, this is just a light valve whose sole purpose is to either block light or allow light to go through it. It accomplishes this simple task through the liquid crystal fluid, which is a fluid that’s rotated in a steady natural state between two pieces of glass. This rotation, when combined with front and rear polarizers, allows the light to be either transmitted through the glass or blocked. This light blocking state is changed when a voltage is applied to LC fluid which stops the light’s rotation. The glass is set up in rows and columns. The intersection of those rows and columns is called a pixel and the voltage is controlled at each pixel location. Continuing with the pixel concept, Color TFTs (thin film transistor) typically have more pixels than monochrome LCDs. Further, Color TFTs break up each pixel into three sub-pixels. Imagine the pixel as a square that’s then separated into three smaller rectangular pixels to make up the red, blue, and green sub-pixel. Behind each of the rectangular sub-pixels is the color filter—red, blue, and green. The red color filter blocks blue and green, allowing only red to come through. Similarly, the blue blocks red and green, and the green blocks red and blue. Through the combination of grey shades of these sub-pixels, you can create 262,000 colors in the full color gamut from white to black. In addition, color TFT LCDs are built on a silicone backplane which allows a small transistor at every pixel location. This allows the use of twisted nematic (TN), 90-degree twist fluid. 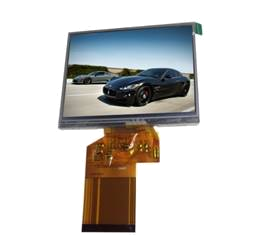 This fluid enables the liquid crystal display to produce higher contrast, faster response time and a wider viewing angle than the super twisted monochrome counterpart. To get input signals to communicate with each pixel, there’s an LCD driver. This component is typically built right onto the glass (often referred to as “chip on glass”). We connect to the glass with a flexible printed circuit board (AKA a “flex”). From the flex, we connect either to another interface board or directly to our customer’s circuit. To note, while the LCD driver is all that’s needed for monochrome, color TFTs will have at least two components for control: the gate and source driver. At this point, we’ve basically got the LCD glass working. However, to be able to actually see and image, a light source is needed for most applications. That’s the job of the backlight, which the LCD glass is placed onto. Our backlights for small format displays are nearly 100% edge lit, meaning we have light-emitting diodes (LEDs) on one or two sides that emit light sideways across a textured light guide that evenly distributes the light across its surface. In color TFTs, there are additional brightness-enhancement films that take the light and point it directly upwards through the LCD glass. As their name suggests, these films make the display brighter. Additionally, we use a diffuser to make the might more uniform. Remember that LCD displays are just a collection of nuts and bolts formed into a usable object. The previous sections were about the core components of the LCD; however, there are additional components you can add. You may need a bezel. 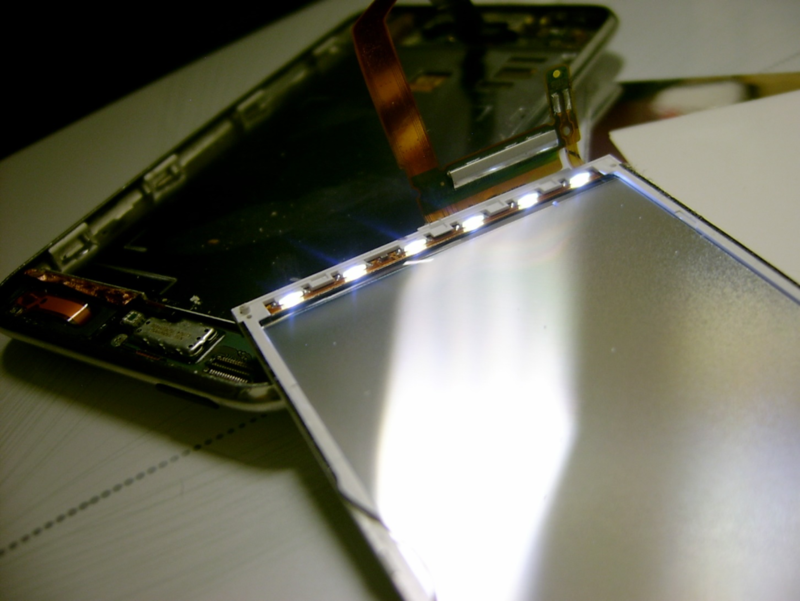 It offers a method to secure the LCD glass and backlight together. 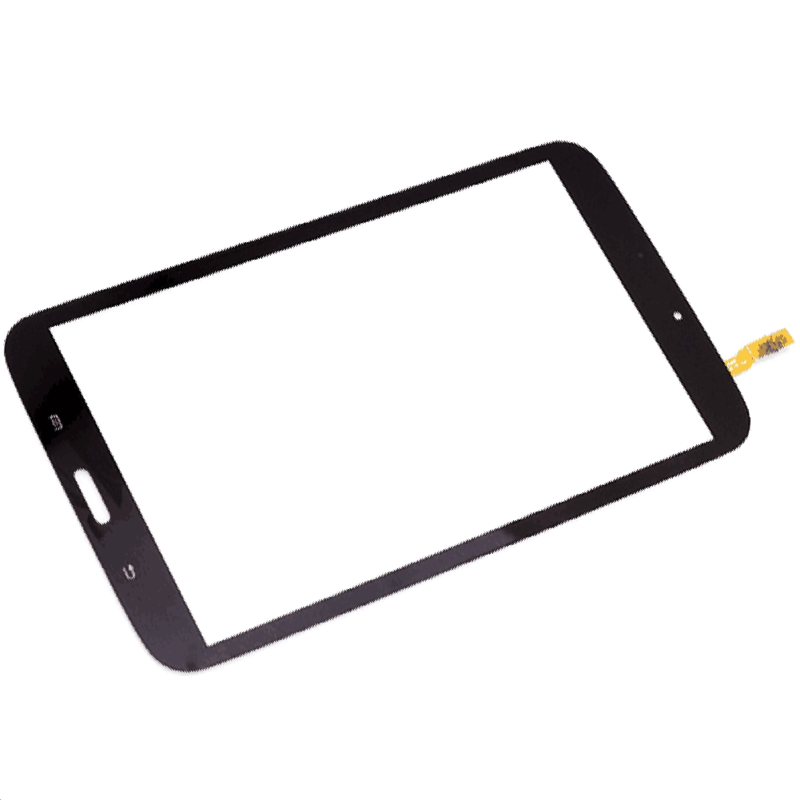 The touch screen, which can be resistive or capacitive, is another piece of hardware that can be mounted to the LCD glass. You can add it on top of the core LCD components to produce a different user experience. Notably, and contrary to what you may think when using a touch screen, there is no direct communication between the touch screen and the LCD glass. The touch screen is speaking to the graphic interface or software, which then conveys what is supposed to happen from user input to the rest of the LCD display. Of course, there are many other components that can be added, including connectors, cables, buttons, oversized circuit boards for mounting, plastics for mounting, overlays, anti-glare films, anti-reflection films, anti-scratch films... and the list goes on. Again, when all is said and done, the LCD display is a combination of nuts and bolts. When put together properly, it becomes a workable display ready for customer integration.